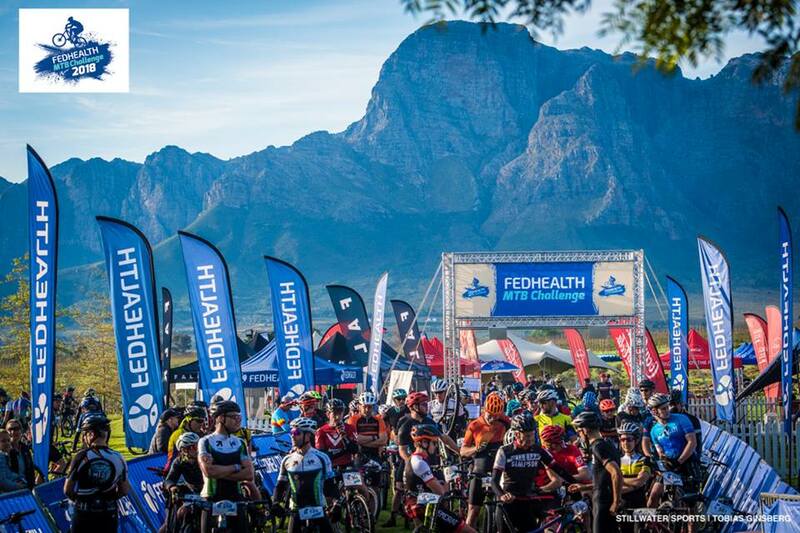 It might be one of the tougher races on the calendar but the Fedhealth MTB Challenge is also one of the most satisfying events in terms of scenery, singletrack fun and vibe - attributes that continue to bring riders back for more each and every year. With the sheer volume of mountain bike races cluttering the local race calendar these days it’s easy to get overwhelmed or miss an event altogether. 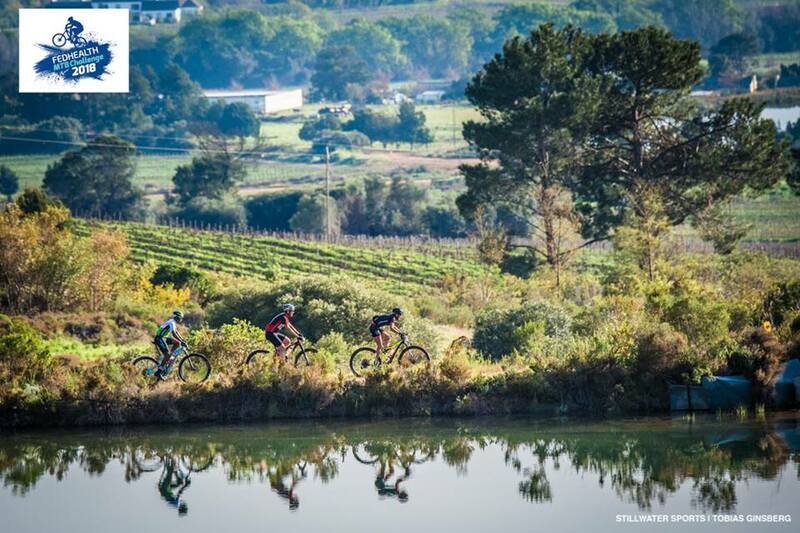 Cape Town locals however, know not to make such mistakes – especially when it comes to the annual Fedhealth MTB Challenge which took place at Boschendal Wine Estate in Stellenbosch on Sunday. The two-day event caters for all types of riders and skill sets – even a recently added e-bikes category. But it was the 60km marathon distance which attracted the largest field and would prove to be the ultimate test of any rider worth his/her 36T chainring. 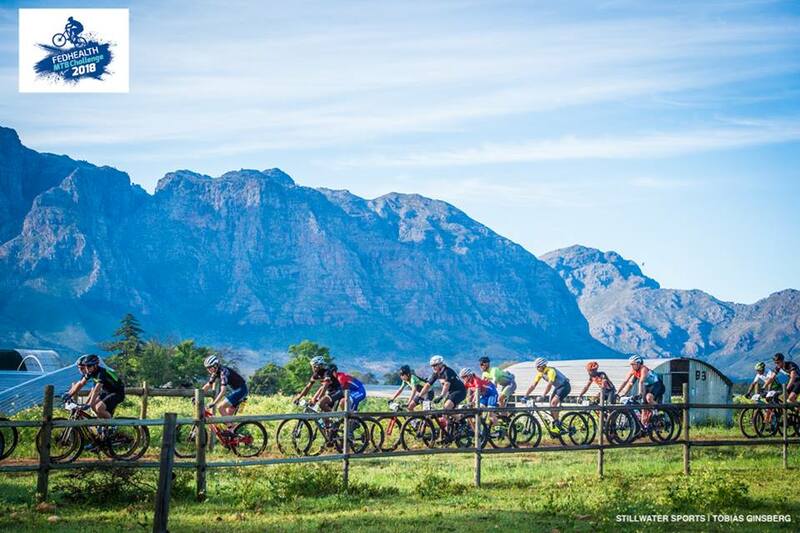 The singletrack-festooned route would dance its way across the beautiful Banhoek Conservancy before taking riders skywards, the result of which would be a claimed 1800m or so of vertical ascent. Eina! As expected the competition in A batch was a stiff affair with the usual throng of professionals and top amateur athletes making up a rather competitive field. Big names such as HB Kruger, Dylan Rebello, Arno du Toit, Jurgens Uys , Nicol Carstens and comeback kid Jaco Pelser would be the riders to watch. The pace was brutal from the off where a series of 90-degree bends and sharp kickers put paid to the weaker riders and strung out the bunch which at times resembled something of a bewildered snake darting through a Pac-Man-like maze. The reality with a race that boasts so much singletrack however, is the frenzy to enter the single track as quickly as possible. It’s in these sections where you can either lose a lot of time or make a sizeable gap if your skills of up for the task. The first major climb of the day surfaced at around the 22km mark where a rocky and loose surface resulted in riders having to carefully torque their way up or lose traction altogether. This scene pretty much played on repeat for several kilometres before it topped out at the summit of new Helshoogte Pass. One of the highlights of the race was undoubtedly the descent down the old Helshoogte Pass – the picturesque yet derelict pass would give some respite before the terrain ramped up yet again. This time the singletrack switchbacks of Botmaskop. Anybody who’s ridden these trails before will know that every metre is earned and its difficulty is based largely by how hard you attack it. There is however a beautiful reward: Bartinney Skyfall. As the name suggests this downhill spiralling supertube of awesomeness is the mountain bike equivalent of Alpe d’Huez but with a negative gradient. Thankfully. And it’s here where the more skilled riders could relax a little and save some much-needed energy. Those who went too hard out of the blocks at the start would pay for their efforts over the next 10km as rocky, corrugated gravel roads as well as an appreciably wet river bed track was the order of the day. Let’s take moment to remember those foolishly brought hardtails… Yip, this is dual suspension country and the remainder of the race would prove this notion time and time again. More climbing would come at the 37km marker, this time yet another single track ascent but more flowing single track was to be had on the other side as the shorter route merged with the longer one. While this point in a race can always cause confusion and frustration for faster riders the vibe between all participants was amicable. The last several kilometres to the finish line were flat and fast if perhaps a little wet as a couple of river crossings had riders jumping, bathing, swimming and even attempting to ride across the waist-high waters. It’s a real blessing to have water running freely again in the Western Cape, especially after the debilitating drought of a few months ago. Again I keep coming back to how special the vibe was – from the water points and marshalling to the general morale and camaraderie among riders. It was great to see so many families riding together and making a proper day of it. And then there were the pseudo-pros like me and my mates who rode as fast as we could in what can only be described as a curious case of one-upmanship. That and trying our utmost not to get chicked – something that thankfully didn’t happen. But whatever your goal, the Fedhealth MTB Challenge has something for everybody. It’s neither pro-focussed nor one of those fun rides where everybody gets lost – its a properly organised event for everyone to test both their mettle and carbon fibre bikes in a safe environment where the same passion is shared by all. So next year make sure you encourage all of your mates and family members to put this on the calendar – it’s tough race no question, but it’s achievable and most of all, everybody gets a medal at the end and pretty darn nice one at that. 1 Jeandre Ungerer 00:33:41, 2 Helgardt Nortje 00:33:56, 3 Robert Phillip Nieuwenhuizen 00:34:15, 4 Samuel Cleary 00:34:41, 5 Luca Wiese 00:36:37, 6 Liam Henning 00:36:38, 7 Ryan Koorzen 00:37:20, 8 Connor Kitching 00:37:22, 9 Luke-John Els 00:38:58, 10 Camryn Marais 00:39:07.